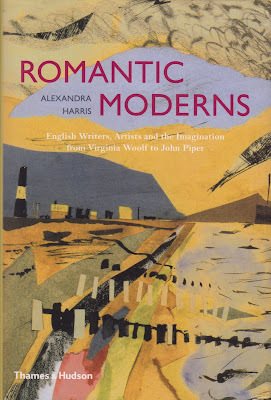 Romantic Moderns by Alexandra Harris is a wonderful book. I can't offer a bigger recommendation, especially to the readers of Lucindaville. This is one of those books that came up while searching for other books. 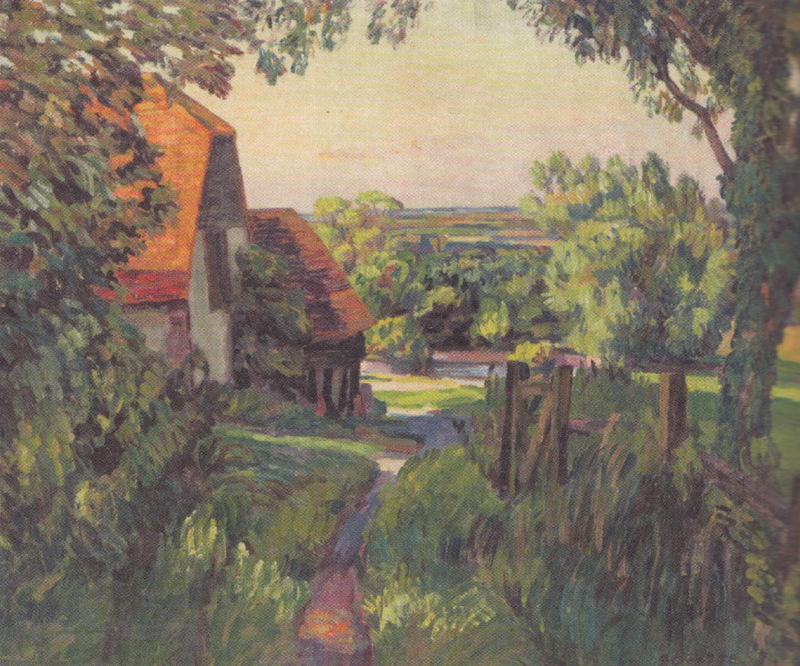 It purported to be a study of English modernism which some would argue is an oxymoron. 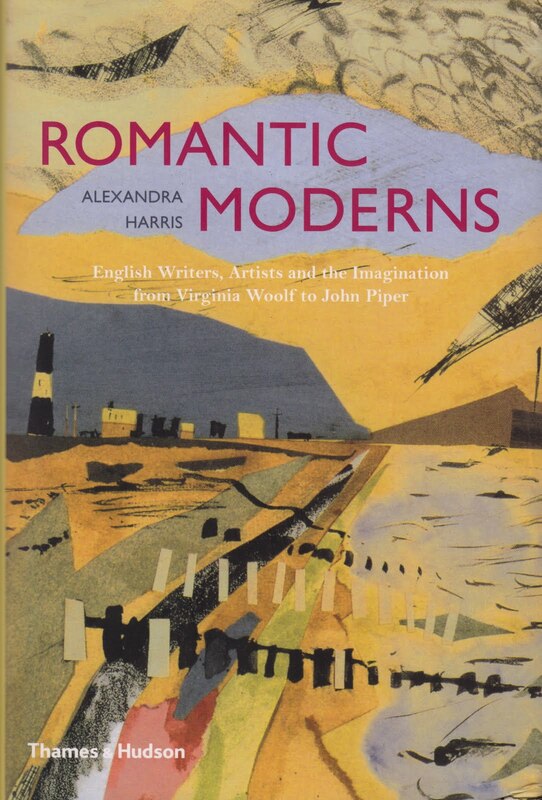 The official title is Romantic Moderns: English Writers, Artists and the Imagination from Virginia Woolf to John Piper. It is a rather scholarly tome and was a bit hard to find. I had ordered it several times only to find it was out of stock. After several months I found a copy in England that came after four weeks a bit worse for wear from its' journey. It is beautifully bound on heavy stock and filled with photos. 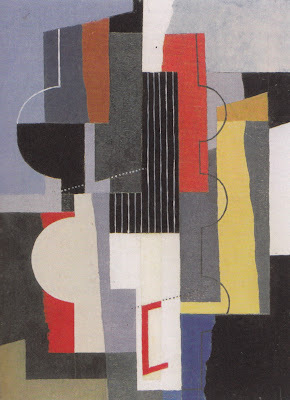 Harris' premise is that while modernism was often a violent break with the past, English Modernism saw the "modern" as not the least bit at odds with the its past. While the title of the books mentions artists and writers, Harris takes a much broader, inclusive approach to a cultural history. She looks at "writers and artists" who wrote not only poetry and fiction, but writers who wrote about food and gardens and travel. 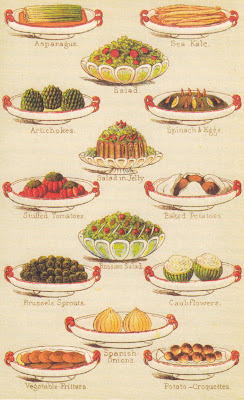 Starting with the ever present Mrs. Beeton and her tarted up "European" recipes, Harris points out that painter Roger Fry was fascinated by regional food and often "carried around with him a huge Provencal cooking pot." 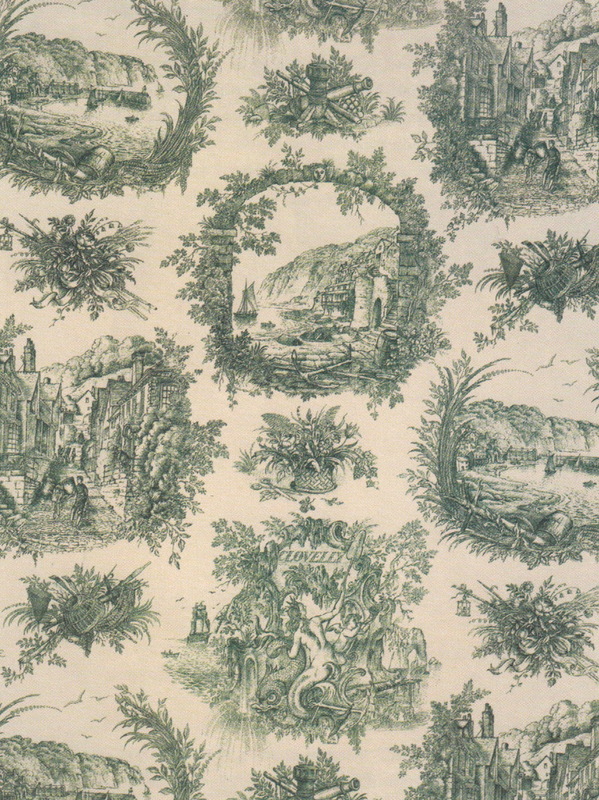 Interest in food became less about the grandiose Victorian feasts and more about the one-pot meals from the English countryside. When Ronald and Nancy Tree decided to redesign the gardens at their home, Ditchley Park they chose Geoffery Jellicoe. 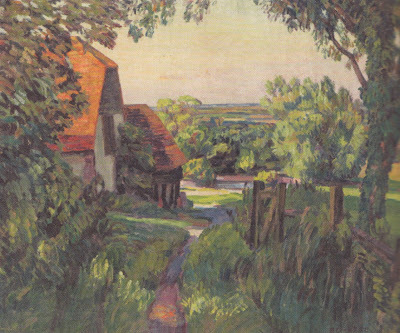 Jellicoe took his visions of Italy and moulded them into the English countryside working to bring "history and the modern 'psyche' into alliance." 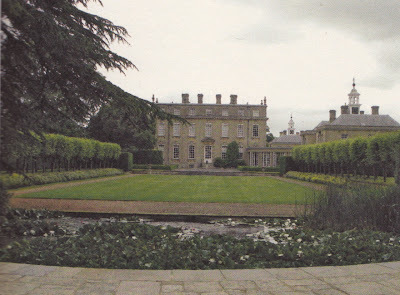 There are nods to Cecil Beaton's Ashcombe and the fascination with baroque and rococo. 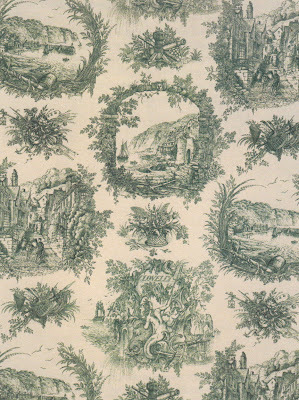 Rex Whistler took inspiration from the Cornish fishing village of Clovelly which became, "a toile-de-jouy fabric with cherub-edged capriccios and fountains of Neptune." 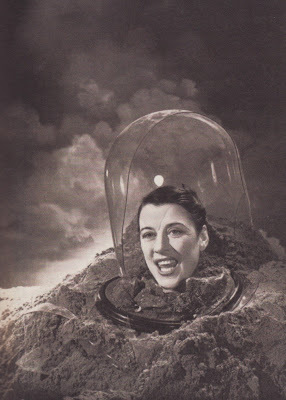 Writers abound. The Bloomsbury clan is here. W. H Auden mixes with Evelyn Waugh. The Sitwells make appearances. Roger Fry, Duncan Grant and Vanessa Bell continued the English tradition of landscapes and still life but with a decidedly modern twist. Angus McBean incorporated high Victorian decoration into surrealism displaying celebrity as curio. Harris' broad and sweeping survey of this period in English history beautifully draws together disparate threads and weaves them into a cultural tapestry. The book is well worth the price for the images alone, be it gardens, architecture, design, paintings, and photography, they fill the pages and clearly prove her point that the English were modernists tinged with their own eccentric flair. Thank you for this fascinating and wonderful review. I will read this as it is my type of book. Did you read "Howard's End is On the Landin" by Susan Hill? Helen, I loved, loved, loved "Howard's End is On the Landin"
Many thanks. 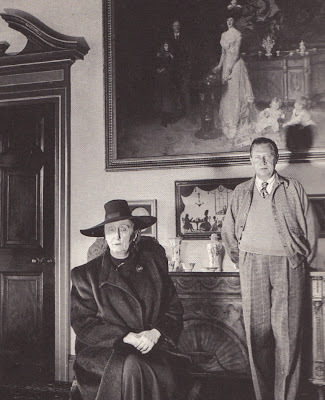 I am very interested in Duncan Grant, Roger Fry and Vanessa Bell, but knew nothing about their taste in food. You say that Fry was fascinated by regional food and often carried around with him a huge Provencal cooking pot. 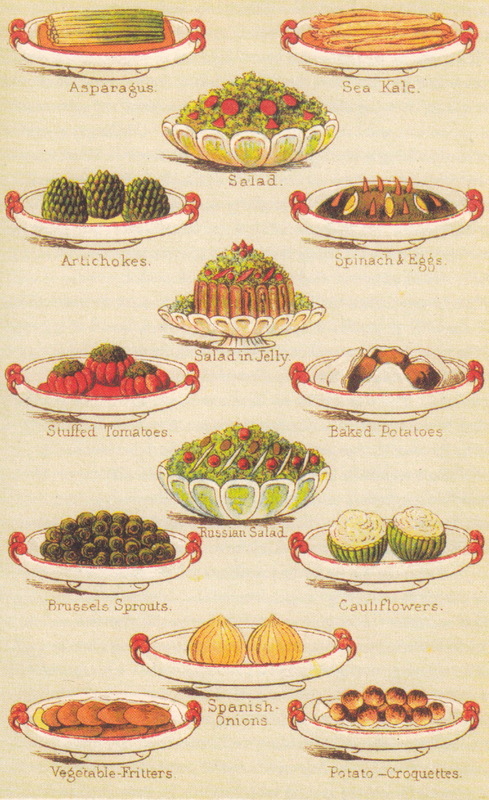 Interest in food became less about the grandiose Victorian feasts and more about the one-pot meals from the English countryside. Quite rightly! He was running around Europe like a very busy and entrepreneurial chap, collecting art objects for his two huge exhibitions in London. I wonder if after those two extravaganzas in 1910 and 1912, they settled into more normal domestic life down in Charleston etc. With great food. by the cook at Charleston. It is a cool "Bloomsbury" tidbit. Check it out. The last photo it's so disturbing don't you thing? it gives me shivers.